Requirement: The user wants a report with a column chart. The X axis will have Subcategory Name and the value will be the sum of Internet Sales. Along with this chart, the user will have a slicer where they can select the Subcategory Names. The column chart should “update” showing one column for each selected subcategory, and another column named “Others” with the summed amount of the rest of the unselected categories. Basically, they wanted a dynamic group called “Others” and the members within this group should change based on what is selected on the slicer. This would be a good time to show a visual representation of what the requirement means. You can see that there is one individual (green) column for every selected Subcategory and also one (orange/red) column called “Other” which has the summed up value for the rest of the unselected categories. The Subcategory column from this table has to be used in the charts, since this is the only column which has the “Other” member. At the same time, this table is a disconnected table (which means that there is no relationship between this table and the rest of the fact/dimension tables), so we will not get any proper values if we just use the Sales measure with this column in a column chart. For that, we will have to create a custom measure. Note that we are making use of 3 variables – SelectedSales, UnSelectedSales and AllSales to handle the 3 conditions that can arise. SelectedSales will match the member values in the our calculated table (ProdSubCat_List) with the Subcategory names in the original Subcategory table and get their corresponding Sales Amount. UnSelectedSales will get the Sales Amount for all the unselected Subcategory names, and we make use of the EXCEPT function for this. AllSales is the total Sales Amount for all the Subcategories, and is used for showing the grand total. 3) Create a column chart with ProdSubCat_List[Product Subcategory Name] on axis and NewSalesMeasure on values. Put a slicer which has ProductSubcategory[Product Subcategory Name]. Now you can see the required end result. Due to the high compression rates and stellar in-memory architecture of SSAS Tabular, most people with smaller models do not experience performance problems (in-spite of employing bad data modeling techniques and inefficient DAX measures). However, as the size of your models increase, you will start to see performance issues creep up, especially if you are not paying attention to data modeling and DAX measures. Last week, I gave a presentation at the PASS Summit 2015 on my experience of building a 150 GB Tabular model in SSAS 2012. During that, I shared my story on how some of the DAX measures with IF statements were causing performance issues and how to work-around that issue by rewriting your DAX measures. During that day, Microsoft also announced that they resolved this issue in SQL 2016, so I thought of demonstrating the issue, workaround and also the fix in SSAS 2016. The above MDX query defines a DAX measure called Test, which depending on the condition displays either Internet Total Sales or the Reseller Total Sales (To make it simple, I just made a static condition 1=2 but that can be replaced by any dynamic condition also). The query results should display the Test measure for Year, Product ID and Country. Now, normally we would expect that the Test measure should only execute the true part of the IF statement. But let us execute this in MDX Studio and see what actually happens. You can see that both the branches of the IF statement are being executed, even though we expect only the true part to be executed. For smaller models, it might not make a difference but for large models with expensive measures, this might cause severe performance issues. The workaround for this issue is to rewrite your DAX such that we ensure that the measures get executed only if the condition is true. The reasoning behind the table being connected to fact table is because the calculate() with the false condition has to evaluate to zero / BLANK so that the result of the Test measure would only be the one appropriate measure. If the table is not related, you will end up with the sum of both the measures. A low cardinality table or column is preferred because in this technique, you will see that there are 2 additional queries being sent to the storage engine, which evaluates the FILTER part for the two measures. If the tables have high cardinality, the time for the FILTER queries will take more time. The reason why I said that the table or column should not be used in the measure calculations or condition is because I have seen that in certain conditions, this could actually make the performance worse and still execute both the branches. So just make sure you do some extra testing. That said, let us look at the scans for the above query. You can see that only the Reseller Sales measure is executed. Also, if you notice carefully, there are 2 extra scans which basically check the filter condition for Currency. In large models, these scans for low cardinality dimensions will be almost negligible and the time for these extra scans will be much lesser than the time taken to execute the other measure also. In this case, the Adventure Works model is just 18 MB, so you won’t see much of a difference. SSAS 2016 CTP2.3 (and newer versions) has a new optimization for this issue – Strict evaluation of IF / SWITCH statements. A branch whose condition is false will no longer result in storage engine queries. Previously, branches were eagerly evaluated but results discarded later on. To prove this, let us execute the original query against SSAS 2016 and see the results. Now we can see only the relevant measure is being executed. Also, it is faster compared to SSAS 2014 versions of both the original query as well as the workaround. I hope this article will help people who are not on SSAS 2016 to optimize IF statements, and also help understand what the new optimization in SSAS 2016 – Strict evaluation of IF / SWITCH statements actually means. There are also a bunch of new features and optimizations in SSAS 2016 and you should check them out! I know it’s been ages since I posted something, and I do have lots of lame excuses so maybe it deserves a post on it’s own. But for now, I want to jot down a workaround on how to rank a column based on the slicer selections for the same column. 1) To solve the first part of the requirement, I made a simple ranking measure by City as shown below. You can see the results in the pivot table below. 2) For the second requirement, we can just add a slicer for the City field and then connect it to the Pivot Table. 3) Now the third requirement is the interesting one. When I try to filter by some cities, I get the result below. You can see that the Ranks don’t get updated based on the slicer selections. The user wants the ranks to start from 1 but you can see that the ranks are still based on the entire city list and not just the selected city list. Now it is impossible (atleast as far as I know) to reset the ranking if the same field is on the rows as well as the slicer. The reason is that the Rank measure operates on ALL(Geo[City]) and hence removes any filter or selection that is already made. So what do we do? 4) A simple workaround is to make a calculated column (say City Slicer) and make the Slicer based on this new calculated column. 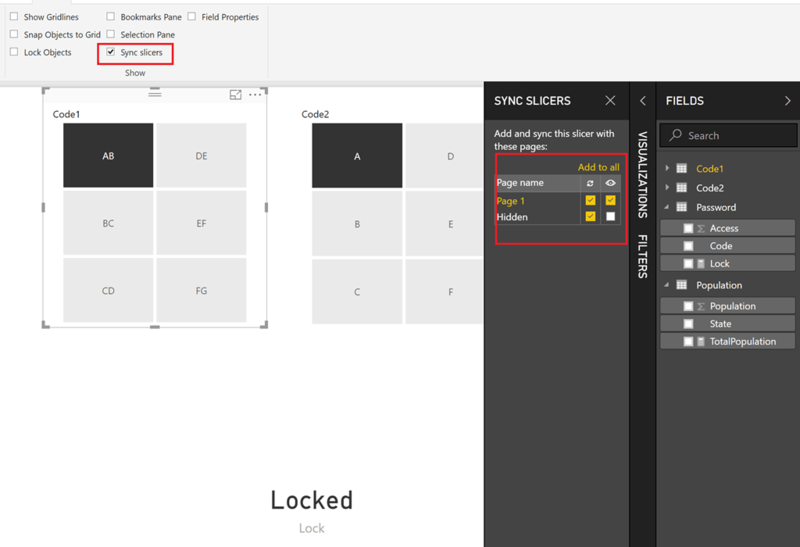 Make sure to remove the old slicer as well as connect this new slicer to the pivot table. 5) Now when we select the City in the slicer, you can see that the Ranks get reset. You can further rename the Slicer such that it says only City and you can hide this calculated column so that it is not visible to the other users analyzing the model. This will help avoiding confusion among the end users (Eg – why do we have 2 city fields?) 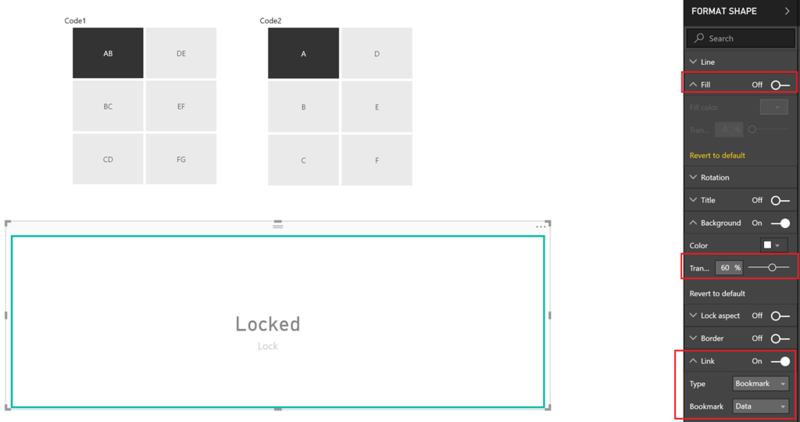 and at the same time, you can make your Excel dashboard with the fulfilled requirements. Within seconds of posting, Miguel Escobar (twitter) comes up with a much better way of doing this using the ALLSELECTED(). This would be the ideal way to do it as we don’t have to create a new calculated column and still achieve the same results. Thanks a lot for this Miguel! Recently, I got a question from one of my readers on whether there is a way to split a single delimited row into multiple rows using DAX. I had kind of demonstrated the opposite to Group Multiple Rows to Single Delimited Row in PowerPivot here and this was another interesting challenge. Read on for the solution. Suppose there is a table which has two columns – StudentName and Subject. We will be using DAX queries to generate a table that will have the desired output. For this demonstration, I will be creating a PowerPivot model and running DAX queries in DAX Studio on top of the Excel PowerPivot model. 1) Create a linked table for the Student. 2) Create a table called DummyTbl which is just a list of running numbers from 1 till n. The value of n should be equal to the max number of subjects that a student can have. In this demo, I am assuming that a student can have a max of 10 subjects, so my Dummy table will consist of numbers 1 – 10. 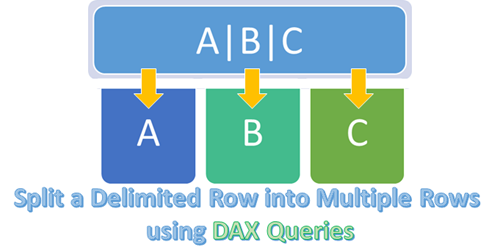 3) Now let us create the DAX queries in DAX Studio. First, we will create a computed column called SubCnt which will give the number of subjects for each row. 4) The only way we can increase the number of rows of a table is by using the function CrossJoin. So let us CrossJoin the Student table with the DummyTbl. 5) Now filter the resultant table where SubCnt is less than or equal to Dummy column. Now we have got the exact number of rows needed for the end result. 6) The only thing left is to split the delimited subjects to the single subject for each row. And the only way to split delimited values is to use the PATHITEM function. To use the PATHITEM function, we should substitute the commas (,) with the pipe (|) symbol. 7) Now all we need to do is to select the two required columns. Hopefully this post will help you when you encounter a similar situation! In one of my previous posts – Row Selection Using Slicers in PowerPivot – Part 1, I had demonstrated the use of what Marco Russo defined as Reverse Linked Tables and Linkback tables. A particularly eye-catching thing in my post was the use of Microsoft Query instead of DAX Query to obtain the required reverse-linked table and one of the reasons I gave was that it was difficult to do an UNION operation using DAX queries (yes, you heard it right. I said difficult and not impossible). Well, since difficult is such a subjective word, I decided to jot down the technique, maybe it might seem easy for you guys! For the purpose of this demonstration, I am using two tables having identical structures. There are just two columns in the tables – country and state and we need to do an UNION operation on these two tables. 1) Import the two tables to PowerPivot (you can also use this technique on a SSAS tabular model). I will be using DAX Studio for writing my queries and displaying the results (though you might as well as use this in SSMS or in the DMX query editor for SSRS depending on your purpose). 2) The first thing to understand here is that DAX, as a query language, can not add rows usually, and UNION requires that we get more rows (since it is the combined result of both the tables). However, there is an operator in DAX which generally generates more rows than its source tables – CROSSJOIN (except when any one of the participating tables has only one row). So let’s first crossjoin the two tables and see the results. Now you can see that we get 12 rows, however no single column gives the result that we need. Somehow, we need to get a logic to filter the 5 rows and also a logic to combine the right results in one calculated column. 3) To identify the individual rows, let us add a rank column to each of the two tables and then crossjoin them. 4) When I looked at this resultset initially, I felt that I could just filter all rows having Rank1 = 1 and Rank2 = 2 and then add a calculated column each for Country and State such that if Rank1 = 1, then the value comes from Table2 else it comes from Table1. Even though the UnionCntry and UnionState columns might appear right, they are not, as one row is missing (in this case, the row with IN country and KL state). This happens because there will always be one row which has Rnk1 = 1 and Rnk2 = 2, and hence there is an overlap. So we need to think of a different technique to filter the rows. 5) Since we are short of one row, we need to include one more extra row having the complementary values of ranks for the overlapping row (in this case, the row with Rnk1=2 and Rnk2=1). This can be done by using the query given below. Now you can see that the UnionCountry and UnionState column gives us the required results for a UNION ALL operation. This approach can be easily extended in case we have more than two tables to join. The only scenario where this approach will not work is when any of the participating tables has just one row (as the cross join will not give us more rows. Eg, cross-joining two tables with 3 and 1 rows will give only 3 rows whereas we need 4 rows for the UNION ALL). However, this can be resolved by adding a temporary table with two rows (so the cross join will be 3 * 1 * 2 = 6 rows) and then using this logic. 7) To do the UNION operation instead of UNION ALL, we should remove all duplicate rows. For that, we can use SUMMARIZE function. In this scenario, there is no difference in the result as there are no duplicate rows. Let me know what you think of this! Our data model for this scenario will have a Product table, a Customer table and a Fact table which shows the sales by Product and Customer. The requirement is to select either Product or Customer in the slicer and display the appropriate rows in the pivot table. 1) As per the solution steps, we first have to create the Group table Note that we need two grain columns here, as the GroupNames belong to two dimensions – Product and Customer. The GroupName will be Customer and Product, and the GroupValues will be the actual product or customer values depending on the GroupName. 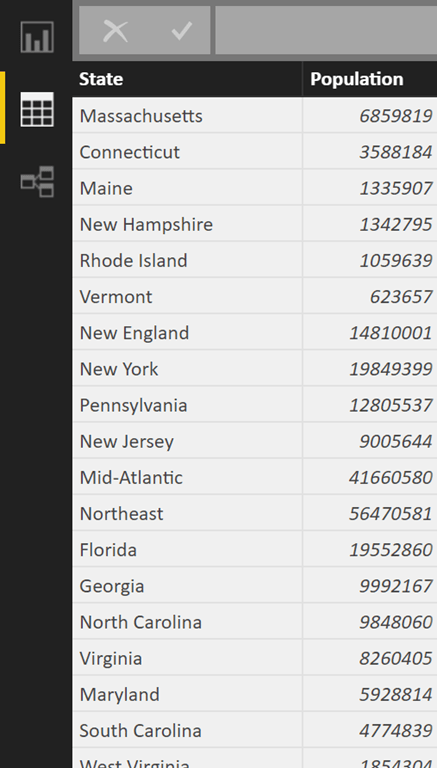 As with the previous posts, I use MS Query to generate this table. Also note the use of the Promotions table (which is the many to many table) in the filter part of the calculate statement. 4) Check out the results by creating a pivot table with GroupValue on the rows, NewSales on Values and GroupName in Slicers. Download the Excel 2013 file with the solution from here. With that, we come to the end of this 2 part series on how to change the rows using slicers in PowerPivot. 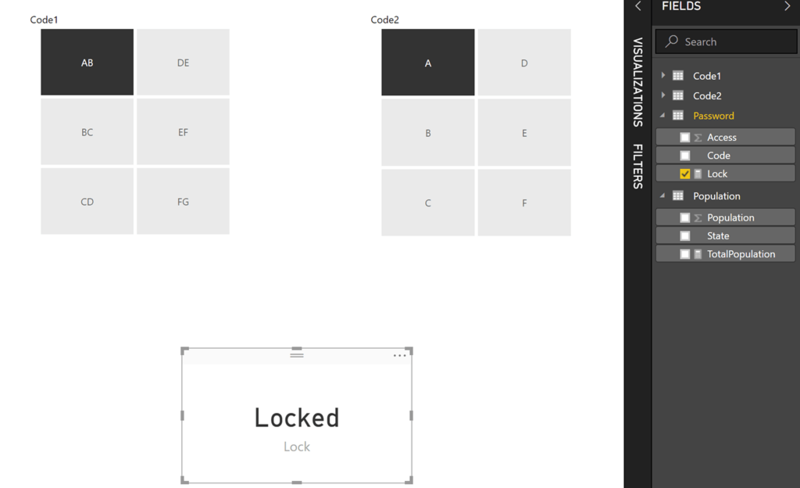 As you would have seen, the bulk of the work lies in generating the Group table and the rest is pretty simple. Hope these scenarios will help you in case you ever need to do the same. A couple of months back, I had written a post on ‘Measure selection using Slicers in PowerPivot’ and this turned out to be one of my most popular ones in the PowerPivot / DAX category. It was just a matter of time before someone asked how to do the same with rows or dimension attributes using slicers in PowerPivot. 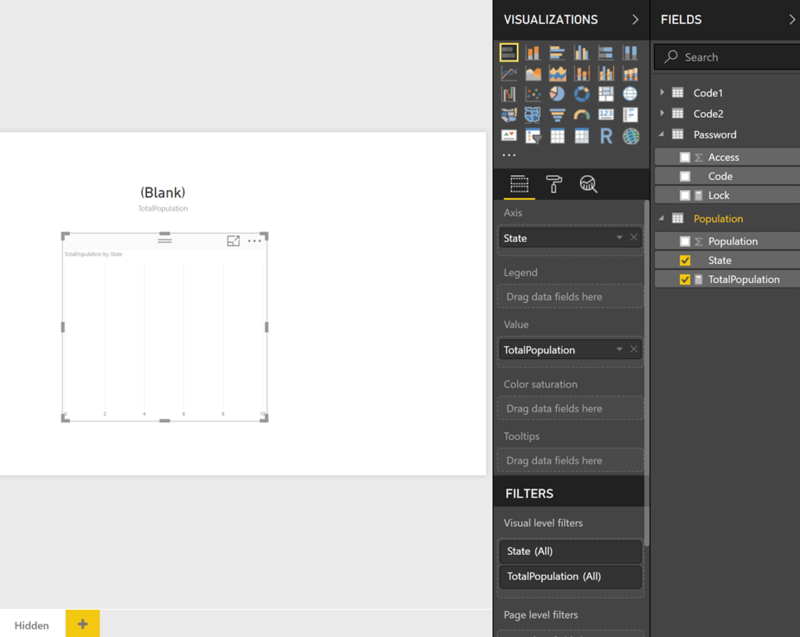 And the case supporting it is also becoming strong with more and more dashboards being built in Power View and Excel. Well, as usual, this functionality is not available out of the box but you could simulate it with a little change to your data model. Read on for the solution. I will be first briefly explain the solution pattern and then apply it to a couple of scenarios. – Grain of the Tables : If all the GroupNames displayed in the slicer belong to the same dimension (for eg, Product, Category and SubCategory in the Product dimension), then only one column is required which would be the grain of the dimension (to be precise, the column of the table linked to the facts which is usually the grain of the dimension). If multiple dimensions are involved in the GroupNames (for eg, Product and Customer), then the number of columns increases based on the grain of the participating dimensions.For each GroupName, all valid combinations of GroupValue and Grain columns should be generated. 2) The grain columns should then be related to the dimensions. 3) Create new calculated measures for each of the required measure by passing the new table in the filter part of a calculate statement and then use them in the pivot tables or charts. Our data model for this scenario will have a Product table and a Fact table which shows the sales by Product and Customer. The Product table has ProductKey, Product, SubCategory and Category columns. Our requirement is that we should be able to select Product, SubCategory or Category in the slicers and display the selected values on the row of the pivot table. Since the slicers need to display the three levels, the GroupName values will be Category, SubCategory and Product. The granularity is at the Product level and hence that will be the third column. Note that for each value in GroupName, there should be a row mapping the GroupValue to the grain column (which is Product here). This sort of table is very easy to create if the source is a relational database. For this demo, I used linked tables and hence to automate the creation of this table, I had to use Microsoft Query as a datasource to pull data from the linked tables. (Please note that I am not a MS query datasource expert and I had to workaround getting the column alias names by bringing the outermost select statement. This should have been a simple UNION ALL in SQL Server). If there is any data change in the linked tables, the Refresh button should be clicked twice in the Excel window (so that the Query can populate the changed data in the new table as well as refresh the PowerPivot model with the changed data). 2) Add this new table (Group) to the data model and then relate the Product column in this table to the ProductKey column in the Product table. 4) Check out the results by creating a pivot table with GroupValue on the rows, NewSales on Values and GroupName in Slicers. Download the Excel 2013 file with the solution from here. Our data model for this scenario will have a Product table, Fact table which shows the sales which shows the sales by Product and Customer, and two tables – Sales Rep and Promotions which will have a many to many relationship with Product. To create the Group table, we again use Microsoft Query as a datasource to pull data from the linked tables. 2) Add this new table (Group) to the data model and then relate the Product column in this table to the ProductKey column in the Product table. I have got two more scenarios to show but guess that will have to wait till the second part of this series – Row Selection Using Slicers in PowerPivot – Part 2. – why didn’t I use DAX queries to seed my Group table? Well, I couldn’t find a easy way to do union in DAX and that is the reason why I used MS query. It might not be the best way but it sure is an option. – Is there any other way to avoid the double refresh of the file? I couldn’t find any other option to do so (actually, you will need to do that even if you are using DAX queries to seed the Group table). That is, if you are avoiding VBA. Javier Guillen has written a post on how to do it with a single refresh using VBA (check out the final part of his blog for the VBA code).